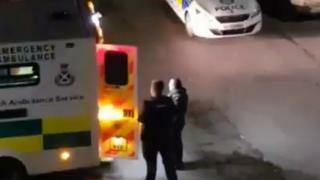 Police have made a fresh appeal about a father-of-two who was shot in the face and stomach a year ago. Paul McColl, 48, survived the murder bid in Cambuslang, South Lanarkshire, on 21 February last year. He was found at 20:50 on Cadoc Street, after being shot while in his black Peugeot 206 car on Borgie Crescent. Mr McColl, a former manager of junior football team Cambuslang Rangers, made his way to the nearby Kirkhill Bar where emergency services were called. 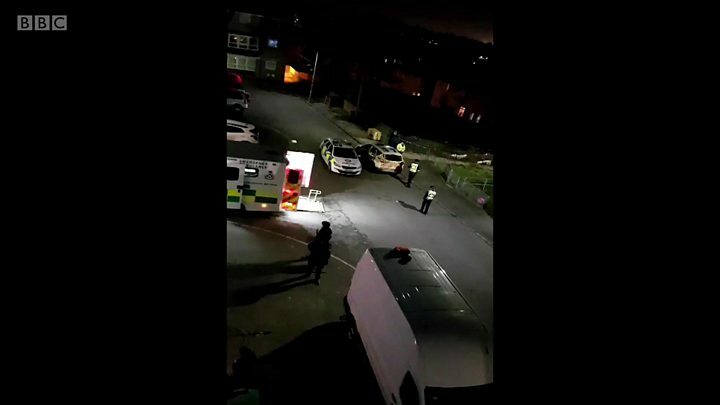 Police also received a report of a car on fire in Turnlaw Road, near East Greenlees Road, which was linked to the shooting. The silver Ford Focus had been reported stolen between 1 and 2 January last year from Camphill Avenue in Rutherglen. Det Ch Insp Martin Fergus, from the Major Investigation Team, said: "We can definitively say that this was a targeted attack, however this does not take away from how serious this incident was. "Those who use firearms are not only endangering the life of their target but also other members of the public. It is vital that we trace the person responsible to ensure that this type of reckless violence is removed from our communities." He added: "I would like to reassure the public that the investigation is ongoing and everything is being done to trace whoever is responsible. "We would still appeal for anyone with any information to come forward, no matter how insignificant it may seem. It could be the key to solving this investigation."